In 2002, after years of plying my computer-whispering in the for-profit world, I bade farewell to the first-wave dotcom life. A meeting with Patrick Ball had left me convinced that there was something genuinely special about his mission, and I seized the opportunity to join him, Rafe Kaplan, Michelle Dukich, and a handful of others at the American Association for the Advancement of Science (AAAS). From my very first day it was a heady experience, being swept along by my new colleagues’ contagious fervor. There were late nights, brain-twisting challenges, and no whiteboard in the building was ever large enough to contain the complexity of the work at hand. More than anything else, though, my memories of that initial period are dominated by the feeling of drowning in data. Data would arrive in the office by exotically postmarked CD-ROM, triggering intense debates about the best strategy for transforming it into statistical grist. Then it was back into the windowless blue-cubicled room where numbers swarmed our giant monitors, while we typed frenetically at them until they had been crunched into shape. So long as it all scrolled quickly by, column after column of dates and coded abbreviations, it remained an intellectual challenge safely coated in abstraction. But when the scrolling slowed down, each row resolved into the headline of another story of personal tragedy. This was not data as I had previously known it, and it leant both a dark weight and certain urgency to my programming work. It was with these thoughts in mind that I prepared for my first trip as part of HRDAG; I was off to Guatemala. To work in the AAAS building was to be surrounded by clever people doing interesting things, all of us sitting behind the same blue cubicle walls, but it felt like we were different: We were the Human Rights people. Those in other departments went to conferences in San Diego and stayed in the Marriott; my colleagues went to East Timor and stayed in tin-roofed guesthouses where the electric generator shut off at 9pm. 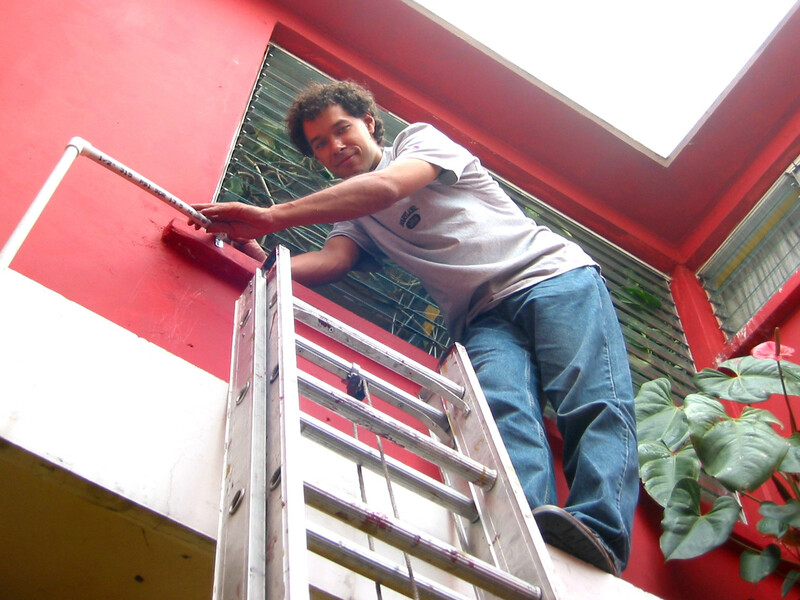 In Guatemala I was to provide assistance to local human rights NGOs, some of which had fallen victim to a series of sabotage attacks on their offices that caused the loss of years of hard-earned data. From a technical standpoint, I had a good understanding of my goals: connect their computers to networks, connect the networks to the internet, and see that they were encrypted and backed up nightly to a safely distant location. In 2017 this is common practice, but in 2002 it was cutting-edge stuff. Only after arriving and spending a few days studying their workflows, did I properly grasp that I was now walking among the People Who Make the Data. While I was trying to figure out where to buy an ethernet patch panel in Guatemala City, they were returning from hikes through the jungle to interview victims’ relatives, heading out to analyze the contents of mass graves, and poring over documents that had somehow found their way out of the military intelligence agency. As time ran short, some of the NGO staff volunteered to help me with my project. I taught them how to crimp and punch cables, quickly realizing that while they could learn much of my work, I would never be able to do what they did. Coming from all walks of life – lawyers, students, farmers and more – they were positioned to combine deep knowledge of the local environment with an ardent commitment to justice, giving up their careers and safety to see this commitment through. In the years to come, I would criss-cross the globe, and be inspired over and over again by the people I was privileged to work with. Each time I would return home, more aware than ever how precious was this data that enabled HRDAG’s work, and how remarkable was the sacrifice of those who struggled to gather it. No matter how real it seemed to me when the screen paused and my eyes lingered on a victim’s details, it was a thousand times more real for the people who had brought it to us.